Woodcraft Plans free download make something useful for the home. Woodcraft plans to make this humble waste paper bin. Simple and easy to make with just a few hand tools. 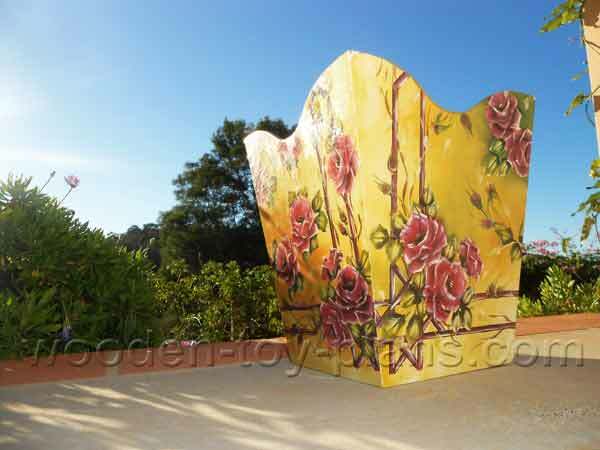 This waste paper bin, with it's decoupage finish, makes an attractive gift, and would be a valuable addition to any home. A single project board sheet of 6mm MDF, 900mm by 1200mm is enough to make three waste paper bins. I used a dark blue spray paint for the inside. Clear varnish for the decoupage. This is a list of tools that I used to complete the project. Bandsaw, Jigsaw or Scroll Saw. You may also need the following consumable items. Download the set of free woodcraft plans, which includes a cutting list and full size patterns. It's always a good idea to read these instructions first to get an idea of the steps involved. Print the template, and use it to mark out the parts onto the project board. Cut out the parts slightly oversize by about 1.5 to 2mm. 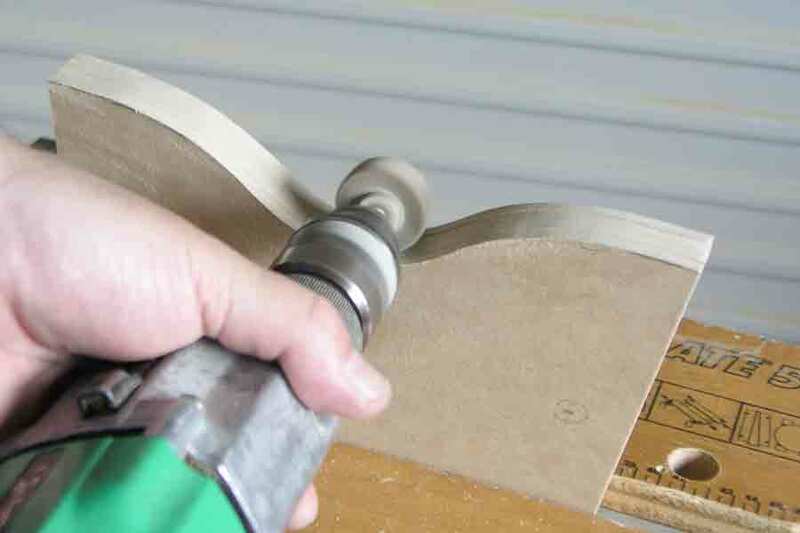 This will leave just enough material to achieve a smooth finish. Don't cut the curve along the top yet, this will be done later. Stack the four sides together using double sided tape to hold them in position. I used one piece in each corner, about an inch long. 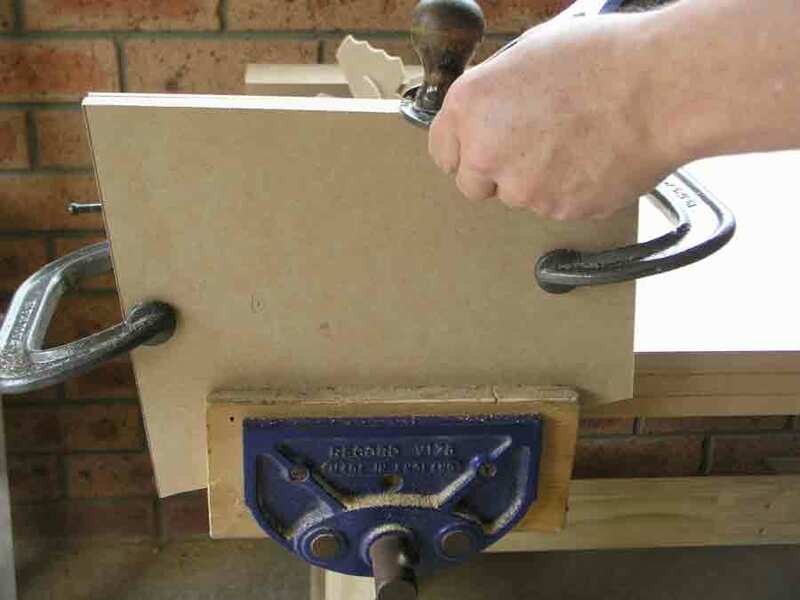 Clamped in the vise and shave the edges with a smoothing plane. 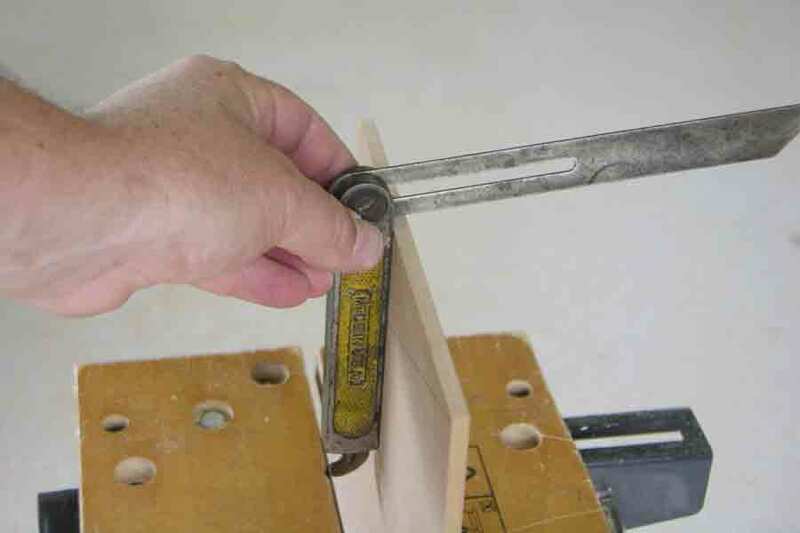 Use a sliding bevel to measure the angles. Mark out the curve using the paper template. 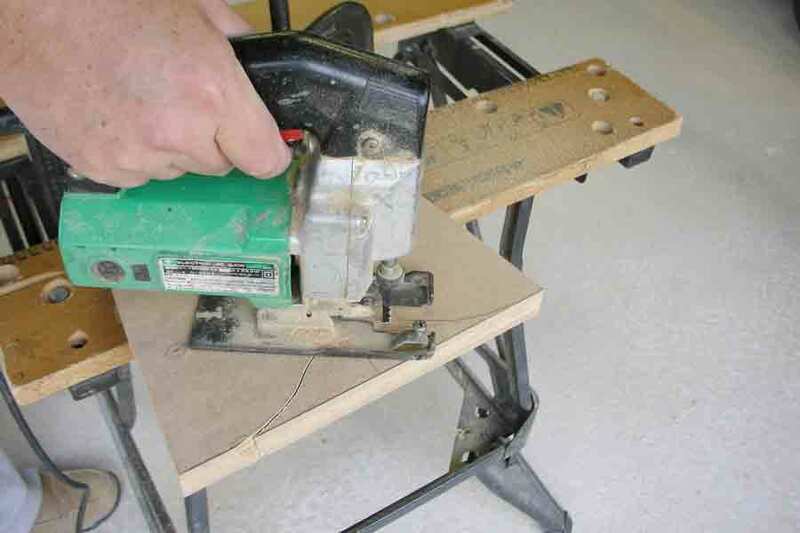 Cutting the curve using a jigsaw. 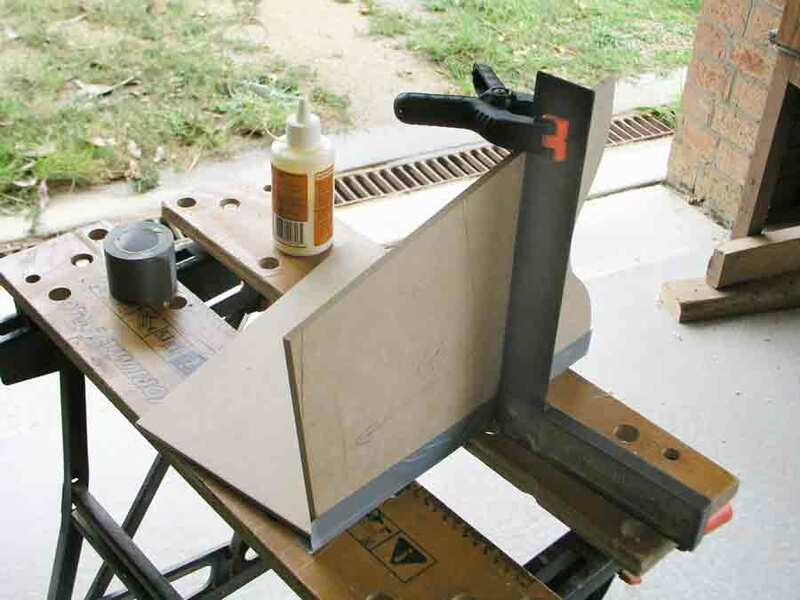 A bandsaw or a scroll-saw could also be used. Using a drum sander to smooth the curves. Use a sliding bevel to measure the angle for the bottom of each panel. 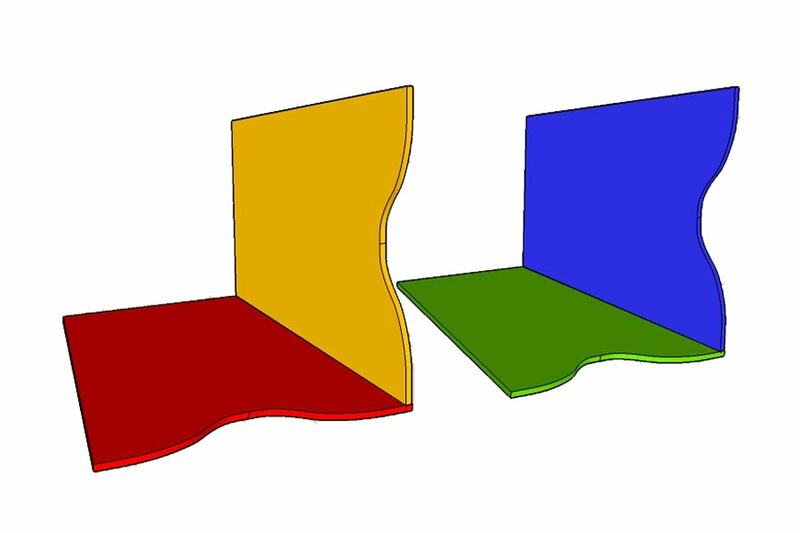 The bevel is formed with the use of the smoothing plane. This is about joining the panels together. Essentially, I make two L-shape panels and join them together. To keep the base square, the joints follow each other. Difficult to describe, perhaps, so I made an illustration with each of the four panels a different colour. This is how I do it. Lay the panels flat, with a gap of 6mm and tape the joint with duct tape. Turn the panels over, and run a bead of glue along the edge. Lift one side 90 degrees and support with the square as shown in the photo. Make sure the vertical panel is resting on the edge of the horizontal panel. Do the same with the other two panels. Make sure the bevel on the panels are facing the right way, so that the base will fit properly. Once the glue is set, join the two sides together. Fit and glue the base. Final construction. Give the glue enough time to set properly, because now you are going to trim all the edges flush. I painted the inside of my waste paper bin with a dark blue spray paint before covering it with a decoupage finish.